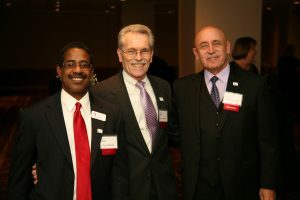 Communities In Schools of Jacksonville celebrated 25 years of service to Jacksonville’s youth on Thursday, February 5, 2015 with more than 430 supporters, funders and volunteers during The Silver Gala. The night was bright, bright with the success of an organization who serves more than 6,900 students annually. “We are proud to present The Silver Gala and celebrate our past achievements, but we’re just as excited to be starting our next 25 years with our focus on the mission of raising graduation rates and helping struggling students.” said Steve Gilbert, CEO of Communities In Schools of Jacksonville. 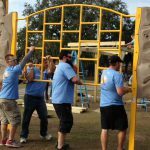 Communities In Schools of Jacksonville recognized 25 gala ambassadors for their respective roles in the growth of our organization, including former mayors, superintendents, staff members and community philanthropists. Much of the night spotlighted our success straight from the source, our students. 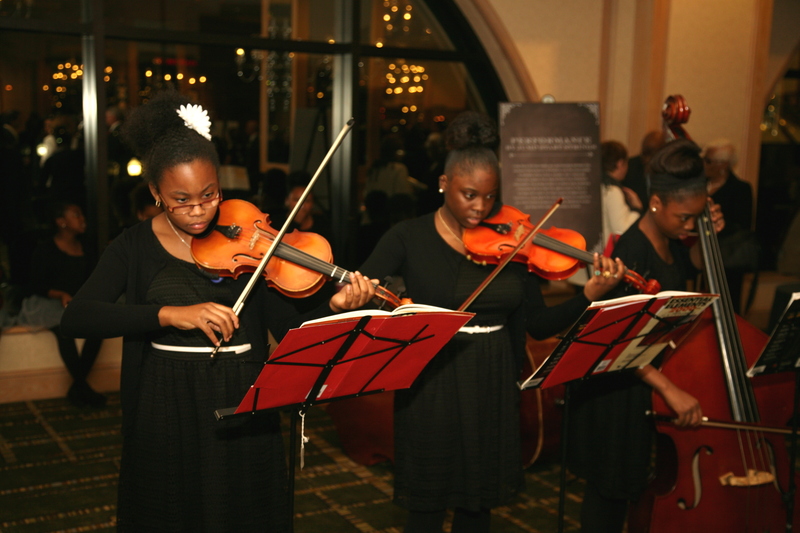 Students from the Jump Start Strings program entertained guests during the silent auction while students from our Student Expression Contest displayed their works of art. During the presentation, two students and a staff member gave testimonials, but not in the traditional way. Angeleah, a CIS student at Pickett Elementary told her story of battling Crohn’s Disease while trying to balance school. 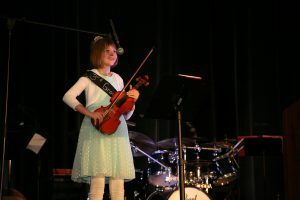 She demonstrated to the audience her ability to play the violin, a skill that was acquired through her involvement with the Jump Start Strings Program in our Team Up After School Program. 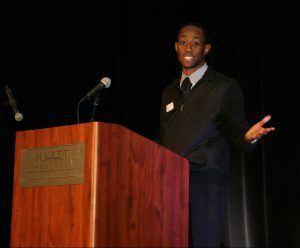 Christopher, a Senior at Ribault High, didn’t know where he was headed beforebecoming involved with CIS. Looking for a sense of belonging, Chris found CIS’s Student Enrichment Program, which set him on track to a bright future as an engineer. Chris came prepared with a written speech, but just as he began his heart opened up and poured into the audience, speaking off script and straight from the heart. 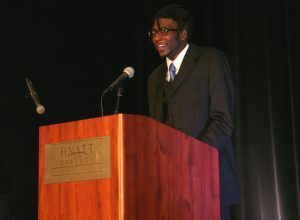 Wade “Seven” Johnson, a TEAM UP Program Manager at Pinedale Elementary, stole the show with an overwhelming and emotional spoken word. Seven shared letters from students who he’s impacted, even during his time as an AmeriCorps Literacy Tutor. You could sense the emotion of the students as they said good bye, but most importantly thank you, thank you for pushing them to become the best they could be, pushing them to become successful. 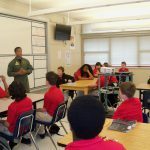 CIS’ mission is to surround students with a community of support, empowering them to stay in school and achieve in life. Deborah Gianoulis said it best when she described CIS as a network of relationships. CIS isn’t just a program, but rather a personal one-on-one relationship with a caring adult. Thanks to the generosity of our supporters, we were able to raise over $65,000.00, which will allow us to continue to serve almost 7,000 students a year, providing them with a community of support that enables them to stay in school and achieve in life.